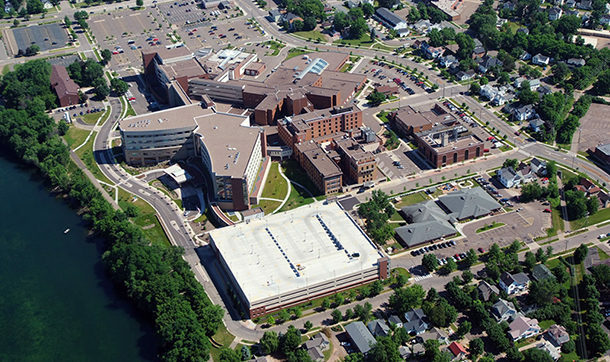 Campuses come in all shapes and sizes, ranging in use from education to health care to industry. Every campus has unique needs and challenges specific to the type of service they provide. 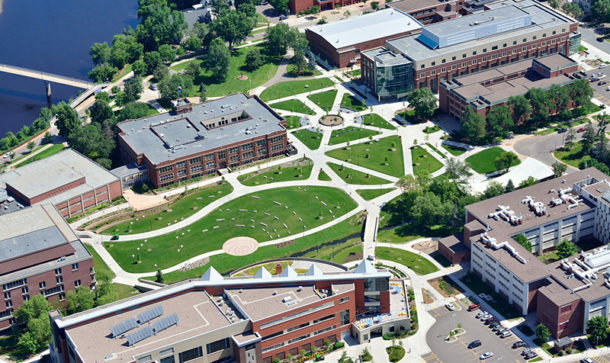 Yet from an engineering perspective, many campuses – whatever their use – also have similar traits and demands to be accounted for when planning projects within their boundaries. 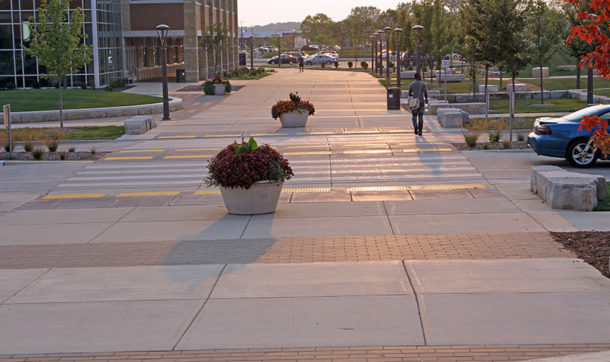 The planning and development of any campus should flow smoothly – much like the roads, sidewalks, and buildings on the campus itself. Campus leaders always have a vision for their sites’ growth and future. Being in sync with that vision – and planning for it upfront – is essential for providing high-quality engineering services. A solid plan – including environmental concerns and funding options – needs to be in place so a campus development or improvement fits into everything around it. All aspects of a site need to follow regulations, which means necessary permits must be secured, and plans for project elements such as stormwater management have to be solid. The maze of underground utilities should be accurately located and carefully planned for replacement or expansion to avoid conflicts during construction. Connecting spaces within a campus is vital to an efficient flow for users. These spaces not only should fit well together but also fit into the community that surrounds them. Getting people around a campus safely – whether by vehicle, bicycle, or on foot – is another critical component of a campus project’s plan. A good campus design considers the functionality of the space. Will the final project be conducive to learning or working or healing? And will the project be in tune with the natural offerings of the campus – lakes, rivers, streams, and woods? Finally, campus owners desire to be good stewards of their communities. Consulting firms should help their clients cast their campuses in a positive light. That means working with neighbors and communities to tell the story of how a project benefits everyone involved. Having a single multidiscipline consulting firm such as Ayres Associates handle all the moving parts of planning and design brings great benefits to campus planners and facility directors. 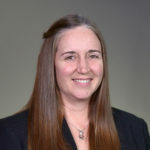 Disa Wahlstrand is vice president of engineering services at Ayres Associates, overseeing municipal services and water resources operations in Wisconsin. She has worked on health, education, and industry campuses throughout her career.